Marc graduated in 1982, from Putnam City High School, and has earned a Bachelor of Science degree, in Business Administration, from Southern Nazarene University. 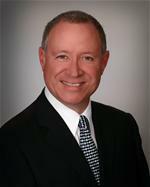 Marc has also served on numerous boards, including the Oklahoma County Juvenile Justice Advisory Board, the House of Healing, Operation Lifesaver, and multiple homeowners associations. Hader, a lifelong Republican and Denise, have worked tirelessly for Christian, Constitutional, conservative principles, causes and candidates from the schoolhouse to the Whitehouse for decades.